I always enjoy paying a visit to Lanka. Their cakes are delicious & technically well made, with new flavors constantly being introduced (often bringing an infusion of Japanese flavors to French classics); their coffees are well made; there is a wealth of tea options; and the growing offering of savory dishes are cooked & presented with the same passion and care as everything else. 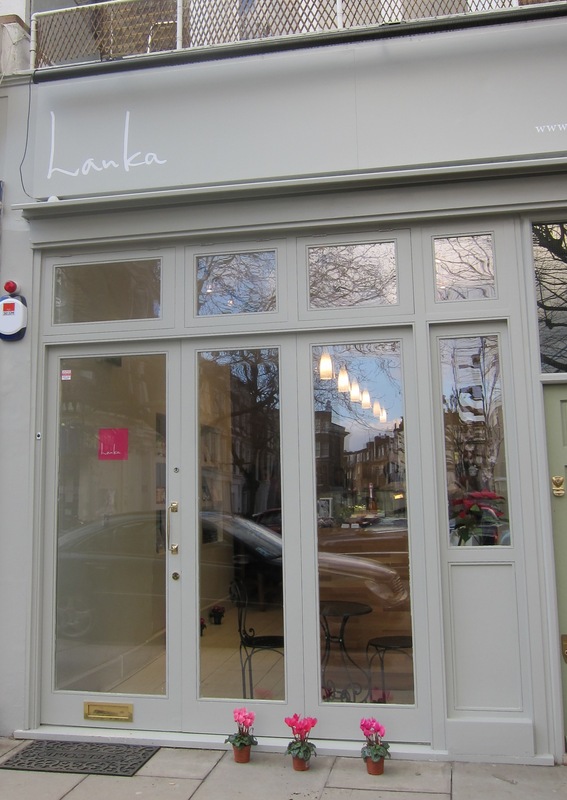 Lanka is a breath of fresh air and breaks the mold of the High Street pâtisserie chains, bringing a lovely charm and individuality to the already pleasant High Street of Primrose Hill. In late February, Mrs. LF and I went for a stroll in Primrose Hill. I noticed that there was a new shop that hadn’t been there last time we were walking in the neighborhood, and my spidey-senses began tingling. The place was called Lanka. It had a muted gray facade, and some beautiful pink potted plants neatly placed outside its shop front, immediately setting it apart. I peered in through the window and noticed that it the staff all seemed to be Japanese, but that the main thing on offer seemed to be some very French-looking pâtisserie and cakes. It looked very appetizing and inviting. Intrigued, we decided to step inside to see what this was all about. It turned out that Lanka is indeed owned and run by a Japanese man. The proprietor, Chef Masayuki Hara, is originally from Japan and since moving to the UK has worked in some very prestigious kitchens, including the two Michelin starred Le Gavroche. He has worked with a number of chefs over the years as well, such as Antony Worrall Thompson and Richard Corrigan, to name a few. In the early part of the new millennia, he moved into private catering, working for an exclusive company catering to City executives, and has now set up his own high-end catering company. Besides the cafe, Chef Hara offers cookery classes, bespoke private dining, party catering and a range of made-to-order cakes and pâtisserie. 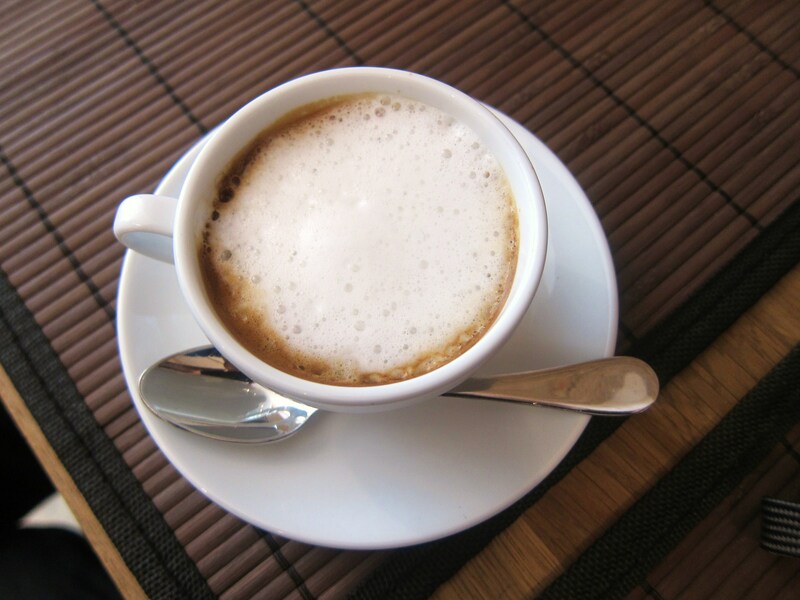 The cafe is very cute, always immaculately clean and the service is good once you can gain the staff members’ attention, as they always seem to be busy helping someone, preparing something, or washing up. Chef Hara has been there himself on each of our visits, and I believe it is always a good sign when the owner is present, especially in such an intimate neighborhood place. 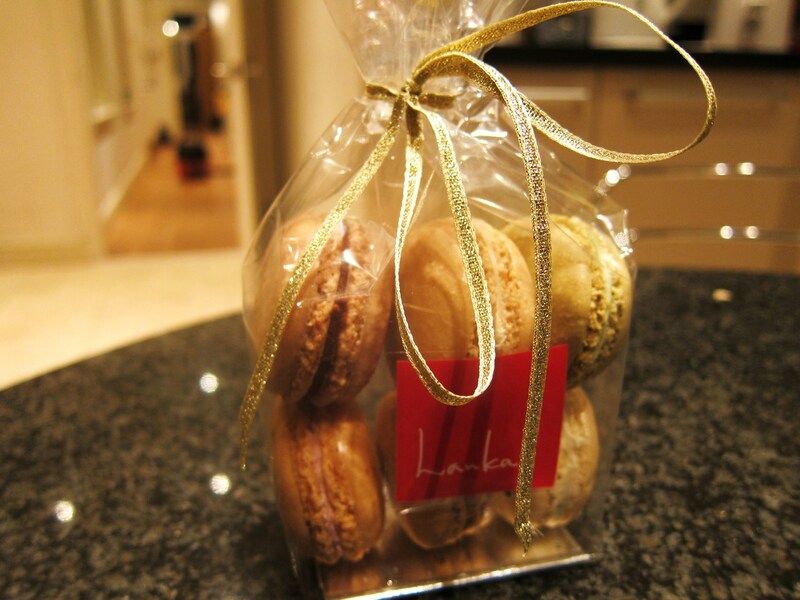 As we guessed from looking at the display from outside, Lanka does indeed specialize in French-style pâtisserie and cakes, many of which have a little twist, often with a Japanese infusion. Since first opening, they have gradually expanded their offering, and now have a small daily menu of savory dishes which are perfect for brunch, lunch or a mid-afternoon snack, as well as having expanded their drink range to include a range of iced tea cocktails (non-alcoholic and alcoholic). 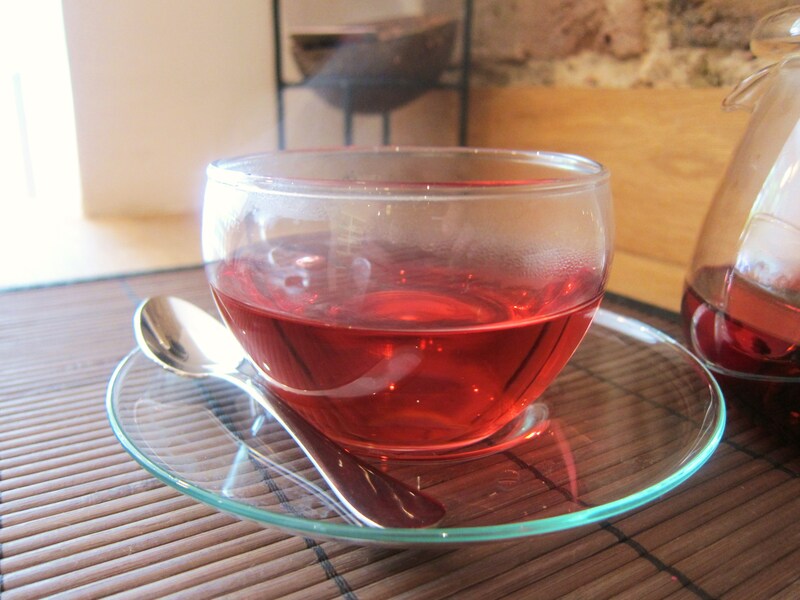 They use Monmouth Coffee beans and have an exclusive range of high-end teas (they are apparently the only ones to sell Expolanka Teas in the UK). It is an inviting, fun and relaxing place to grab a quick bite, whether sweet or savory, and Chef Hara is a perfectionist, which is visible in everything they do. When you eat-in, your chosen slice of sweetness is presented beautifully, with a little dab of syrup or sauce, a side of their rich vanilla ice cream, and a few other tidbits, making for a very pretty plate every time (each sweet is dressed slightly differently, from what I’ve been able to make out). The coffees are made well and their hot chocolate is also good (even the infamous hot chocolate fiend @mathildecuisine gave it the thumbs up!). Their savory offerings are prepared with the same care and lovely presentation, and we really enjoyed our recent brunch there. I have included some photos and brief descriptions of the different things we’ve had at Lanka over our many visits to give you a better idea of what they serve. The green color certainly got our attention and we were curious to taste this interesting looking cake. 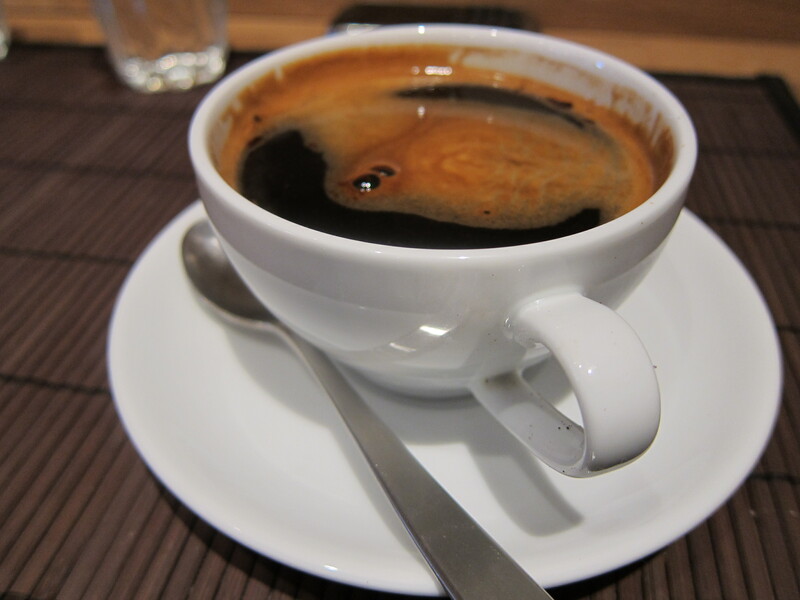 The texture was very nice although the green tea flavor was fairly muted. 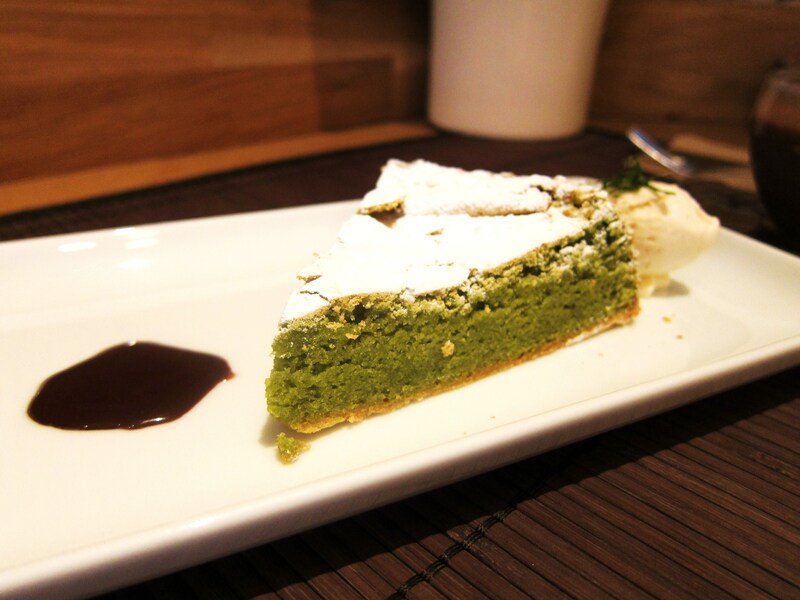 The ever-finicky Mrs. LF said that she loves the flavor of green tea and wished it would have been more pronounced in this cake. I agreed with her and thought that while it was nice, it didn’t deliver on the flavor that the color hinted it might have. 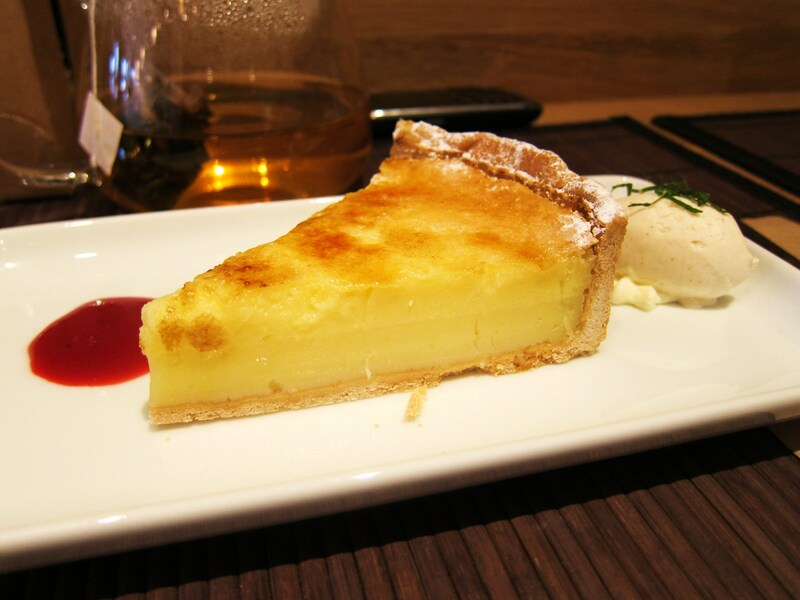 The classic lemon tart was also very nice and well made, though not earth-shattering. It’s not a lemon tart with a difference, like the little Ottolenghi lemon and mascarpone tarts (probably the best ones I’ve ever had) or the fantastic classic lemon tarts from Clarke’s, but it does the job if that’s what you fancy. 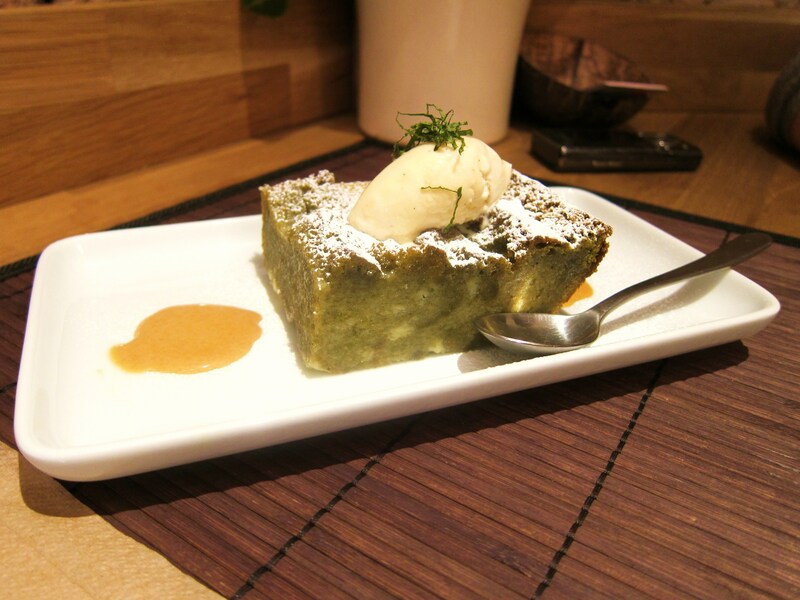 This was a Japanese spin on the traditional bread & butter pudding and tasted very good. Having said that, on our most recent visit, Chef Hara had us taste another version of the bread & butter pudding, which had a lovely tartness to it provided by some sultanas and berries, and we both preferred that version – it was really special. It’s this kind of interaction and passion that makes the place worth coming back to – there’s always something different on offer. The traditional pear charlotte was really excellent and full of the flavor of fresh pears. The consistency was also spot-on, and this one worked particularly well with the side of vanilla ice cream and a dab of acidity from the raspberry sauce. Mrs. LF said that their Paris-Brest was “the real thing,” although the cream itself is traditionally more of a praline-brown color and she prefers hers with slightly more hazelnut flavor. That said, she noted that the homemade puff pastry was very light and excellent. Although it is served with a blob of chocolate on the side (probably simply for decoration), she said she would never deflower her Paris-Brest with an alien ingredient – such a traditionalist, our Mrs LF! I really enjoyed this passion fruit dessert and, in fact, preferred it to their lemon tart (which is usually one of my favorite desserts). On our most recent visit, Mrs. LF sampled the Mont-Blanc, which we had looked at many times in the past but for some reason never ordered. It is a chestnut-based dessert and was fabulous, with the delicate flavor of chestnut being infused well throughout, which is not necessarily easy to achieve as chestnut is not a strong flavor and often doesn’t come through well enough. At its summit was placed a whole chestnut, which is reminiscent marron glacé (a popular confection eaten in France around Christmas time), and there was a second one concealed within. 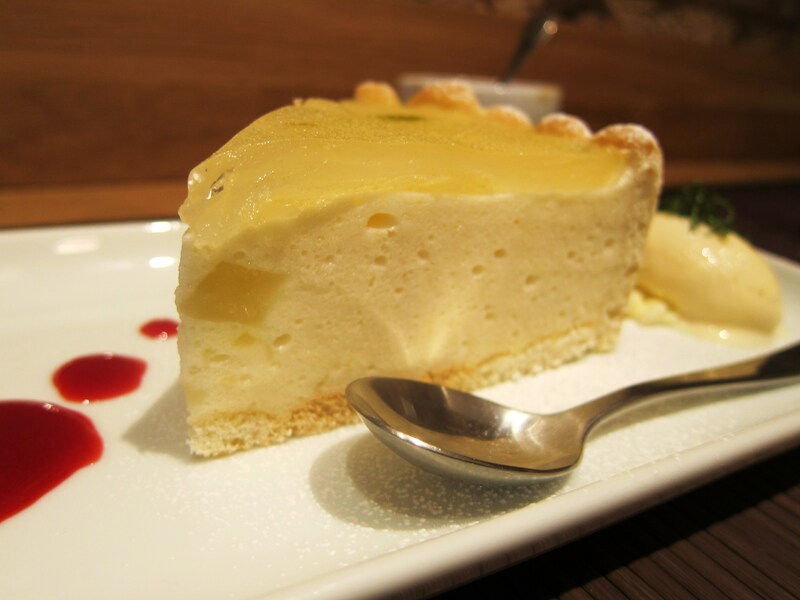 This lent a very nice authenticity to the dessert, which we both really enjoyed. The last time I was at Lanka, I sampled their rum baba, which is one of the best I’ve had – even Mrs. LF agreed. Everything was in perfect balance. It was just moist enough, but not too much; the flavor of the rum was noticeable, but not overly so; and the ratio of cream to soft cake was just as it should be. 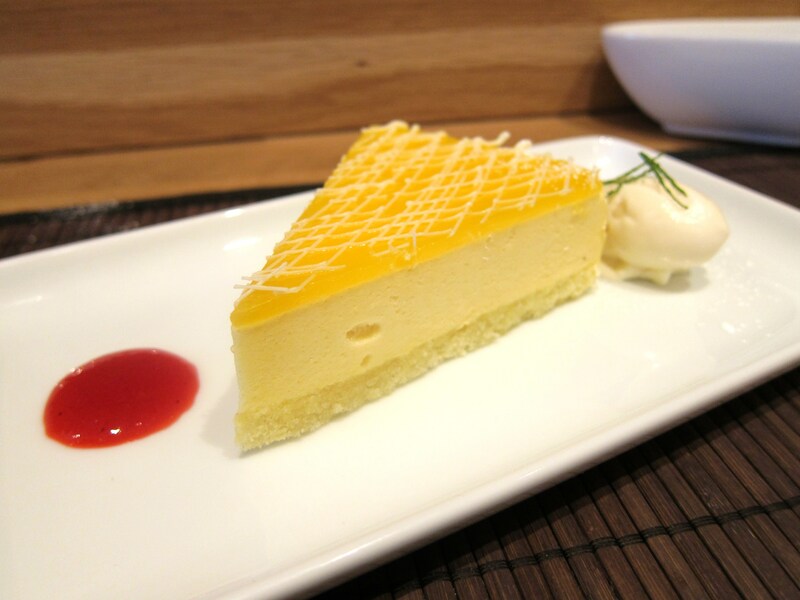 I really enjoyed Chef Hara’s version of this classic dessert, after having been let down many a time in the past with inferior versions in restaurants of all sorts. 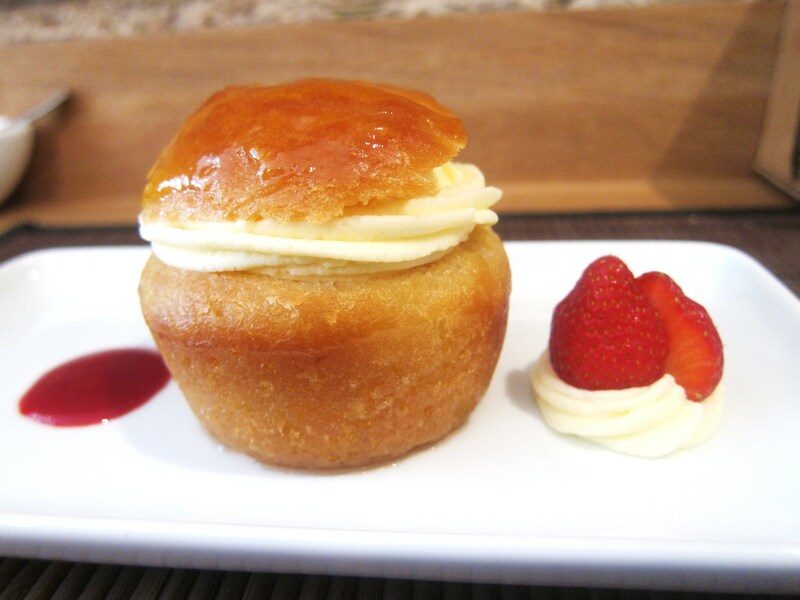 As Mrs. LF pointed out, even if you don’t particularly like rum baba, it just looks so d*mn good, it’s quite difficult not to want to try some! Mrs. LF really enjoyed her recent brunch. 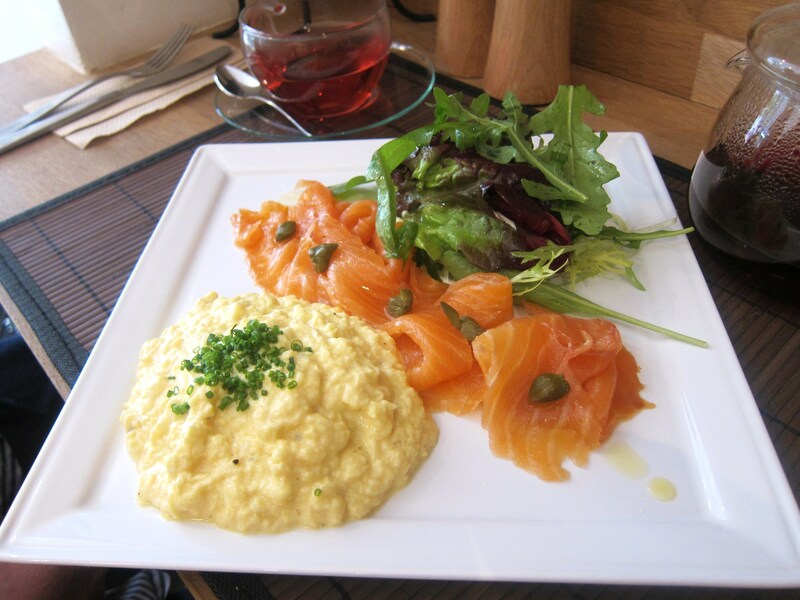 The eggs were nice and creamy and dotted with chopped chives, the smoked salmon had been dressed with capers, and the salad leaves were particularly fresh – something to note given it was a Bank Holiday Monday (when we’ve often had issues with fresh salad leaves in restaurants). As you can see, the portion was also very generous, and it was served with some freshly baked bread on the side. 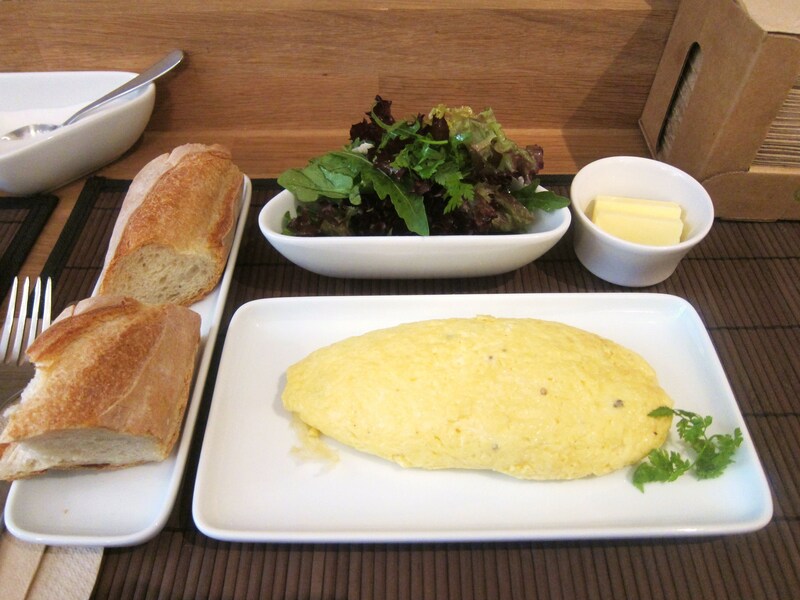 My cheese omelette was also very nice, presented in a classic style. The homemade baguette was particularly good (especially the crust) and I also enjoyed the little side salad, which had been just coated with dressing and well seasoned. 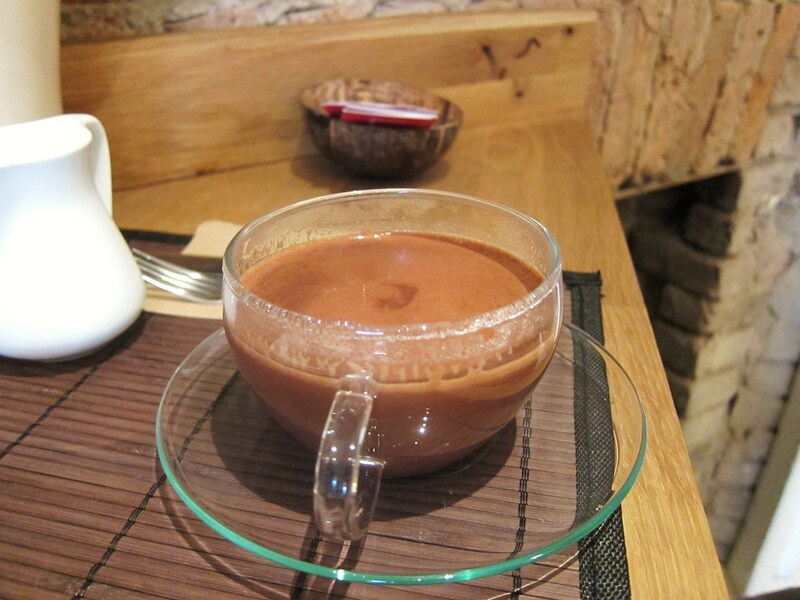 As noted above, the hot chocolate is particularly good, very rich and almost all chocolate with not too much milk. I will direct you to Mathilde Cuisine for any further enquiries, as she is the undisputed master in this arena. Another thing I like about Lanka is that there is always something baking or being newly prepared, and Chef Hara is constantly experimenting with new flavor combinations. He often lets you sample things he is making to get your feedback, which is a lot of fun. Lanka is definitely a great addition to Primrose hill. The word ‘Lanka’ means ‘island’, which I think is fitting in this case as it represents its own little island of cuteness, deliciousness and individuality in this shabby-chic high street. Places like this, which are infused with not only the flavors of the owner’s homeland but also their personality, are a dying breed and I love eateries like Lanka which break the monotony of higher-end chains such as Paul or Patisserie Valerie. Although you may not feel like trekking all the way across town if you live on the opposite side of London, if you do happen reside in the general vicinity or are ever passing through, definitely stop by this delightful island of loveliness. 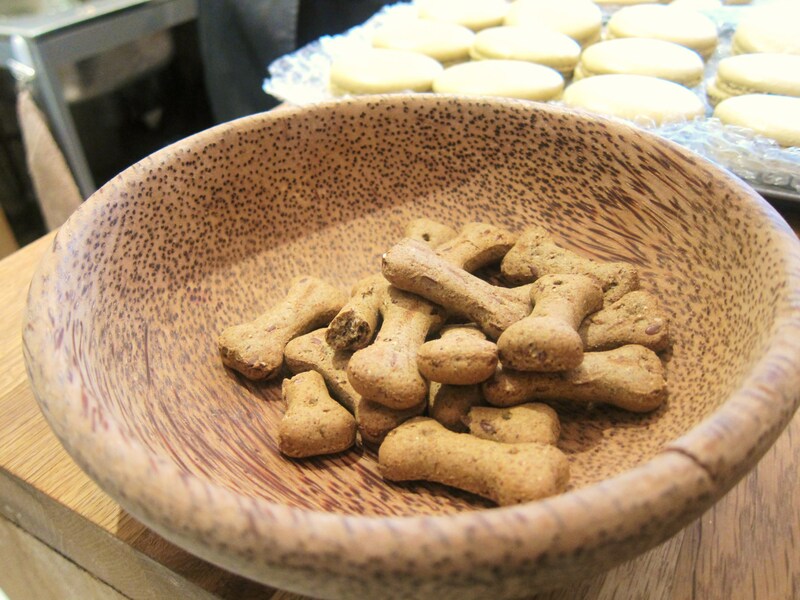 PS – Chef Hara has his own blog, which you may want to check out. This entry was posted in Casual Fare, Laissez Eats and tagged Antony Worrall Thompson, Cafe, Cakes, Catering, Clarke's, Coffee, Cookery Classes, Exploanka Teas, French, Fusion, Japanese, Lanka, Le Garvroche, London, Masayuki Hara, Monmouth Coffee, Ottolenghi, Pâtisserie, Primrose Hill, Restaurants, Richard Corrigan by laissezfare. Bookmark the permalink. 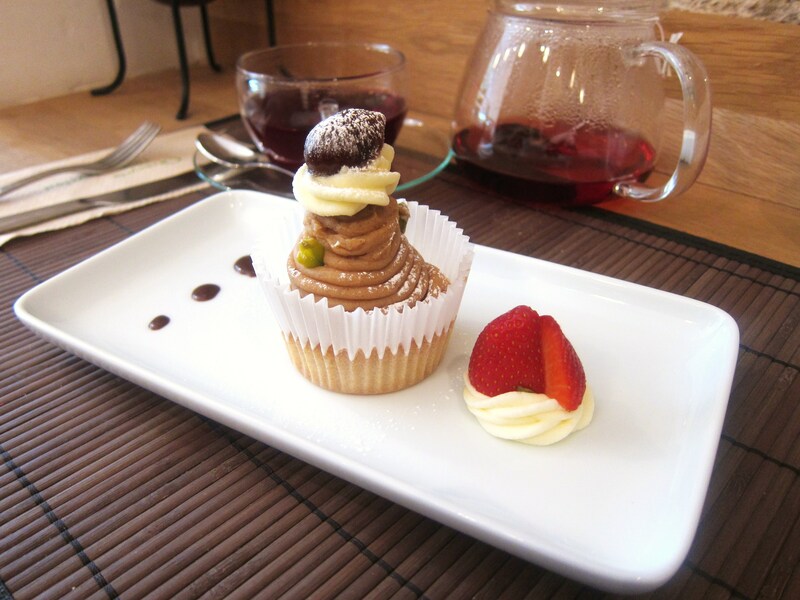 What a lovely in depth review of the patisserie! I liked how you waited until now (intended, or otherwise!) to write it as it’s nice to see the range of pastries you sampled over 4 visits. 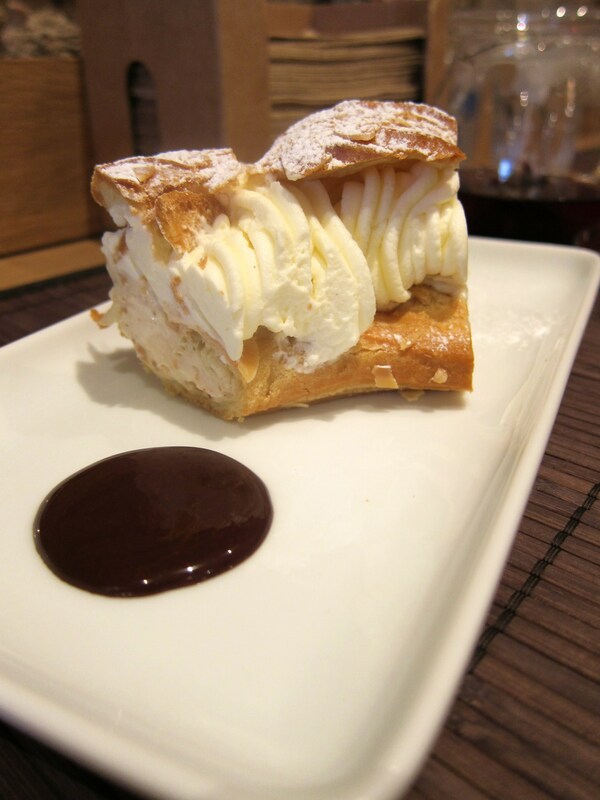 I am particularly enamoured by the mont blanc and rum baba… how crowded does it get in the weekends? The two you are interested in a pretty nice. It is busy on the weekends but the tables/stools turn over pretty quickly, so it’s not usually more than a 10 minute wait (or so) if you can’t get a seat straight away. I visited today and it was lovely. The staff were very helpful, offering to take a table outside so that we could sit in the sun. Great chocolate tart and iced hibiscus tea. Thanks for the recommendation! I am so glad to hear that! Glad you enjoyed going there. I absolutely love this little place. The quality reminds me of Greek patisseries, where everything is top notch (there’s one in every corner, so they have to be high quality to survive the competition). It’s a pity there’s no more places like this in London! You’re so right – I wish there were more places with such a passion and focus on exacting quality.